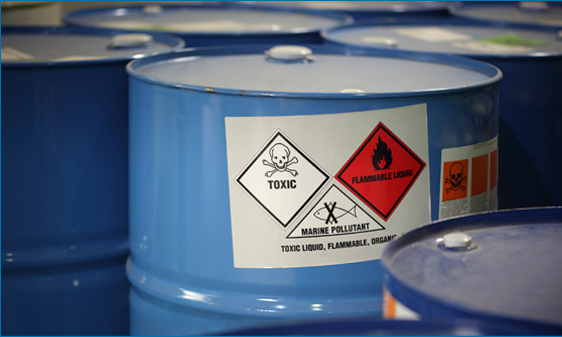 Many common industrial solvents in the workplace are dangerous for both people and the environment. Managing these risks can be expensive and time consuming for business. 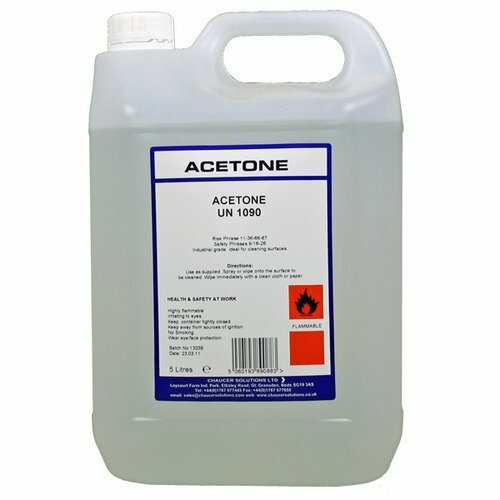 Acetone is commonly used to clean tools, prepare metal surfaces for welding, and as a heavy duty degreaser. The chemical has a low flash point and high vapour pressure, making it extremely flammable in both its liquid and vapour states. Acetone creates the risk of explosions and flash fires in the workplace. It is classified as a dangerous good and has special transport, usage, storage and disposal requirements. Managing the hazards of Acetone can be difficult and time consuming for businesses. An Acetone fire or explosion can be absolutely devastating. Though accidents are not common, the outcomes are often deadly, and can send a business broke. 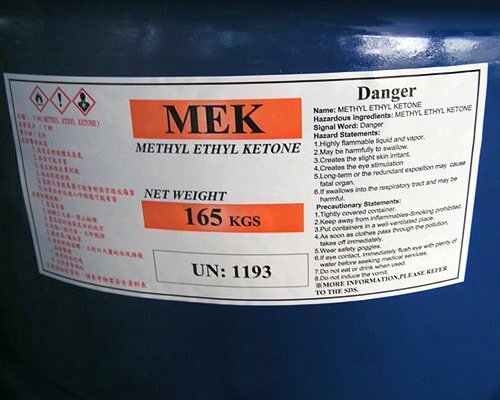 Methyl Ethyl Ketone (MEK) also known as Butanone is commonly used as an industrial solvent. It has similar hazardous properties to Acetone which must be adequately managed. MEK is also an irritant. It must be kept away from direct contact with skin and eyes, and its vapour is very irritating to lungs. For this reason, anyone working with this solvent must wear splash goggles, full suit, boots, gloves and vapour respirator. If ventilation is insufficient, self contained breathing apparatus should also be used. The requirement of extensive PPE and engineering controls and processes in the workplace can be very expensive to set-up and maintain. PPE is also notoriously unreliable and prone to human error. Failure to adequately protect workers using harmful chemicals opens up the business to Worksafe legal action and penalties. Toluene is another common industrial solvent. It is toxic to people in a number of ways. Direct contact with skin and eyes is irritating. Breathing in Toluene vapour can cause dizziness, confusion, headaches, fatigue and other distressing symptoms. Inhaling high levels of vapour may cause depression, permanent brain damage and even death. Repeated exposure to Toluene in the workplace while pregnant can impact on the developing fetus, causing permanent damage. For this reason, pregnant workers should not be exposed to this chemical. Like Acetone and MEK, Toluene is highly flammable. It should not be used around sources of ignition – even remote ones – due to it’s high vapour pressure and potential for flash back ignition. Flammable chemicals should not be disposed off to sewers and drains because of the risk of explosion. Gun Wash is used to clean paint guns, spray lines and other equipment. It has a low flash point and is flammable and combustible. Gun Wash contains both Toluene and Acetone. Safer substitutes not only exist, they can outperform the dangerous and toxic chemicals they replace. Safer solvents lead to reduced need for PPE and engineering controls, and reduced costs for transportation, storage and disposal. Smarter technology and solvent recycling and re-use systems can also lead to overall cost benefits and savings. Safer substitutes for common industrial solvents reduce to the risks to people and the environment. They also reduce the risk to business bottom line. This high-tech cleaning compound has been developed to replace Acetone, MEK and other dangerous solvents. This powerful cleaner and degreaser is safer to use, store and dispose of. It’s slow evaporating formulation means the product stays on the surface longer, meaning a little product goes a long way. A powerful cleaning compound for resin and paint equipment clean-up. 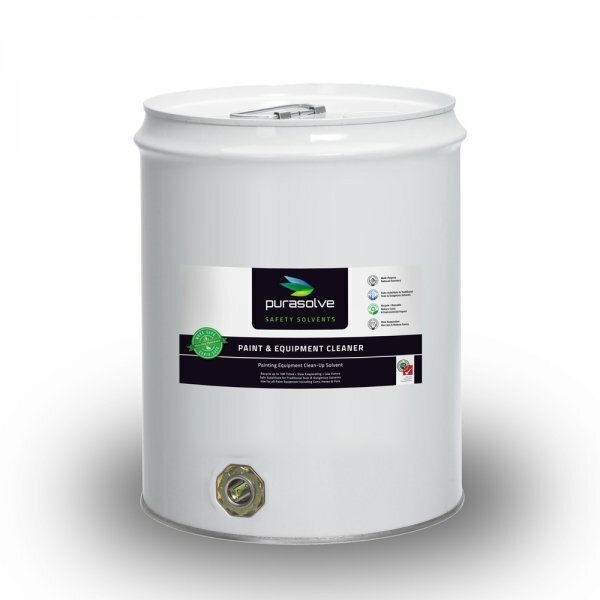 Purasolve Paint Equipment Cleaner improves worker health and safety and reduces disposal costs. It is fully recyclable up to 100 times. A non-flammable and non-explosive alternative to dangerous solvents. 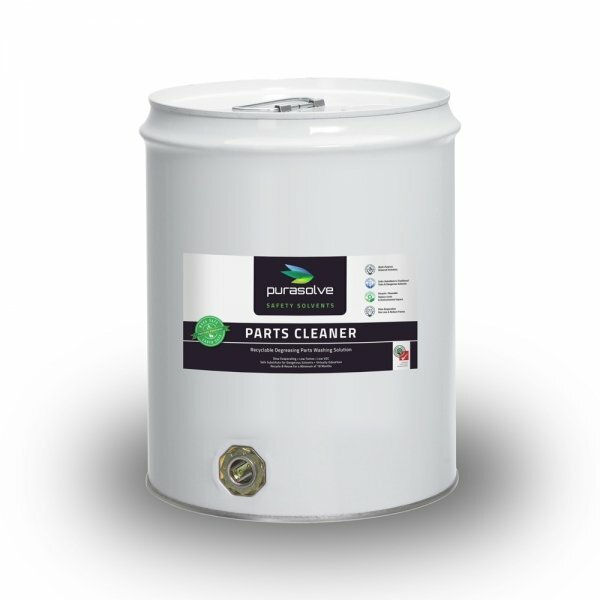 Purasolve Parts Cleaner is effective for use in parts washers and for manual metal cleaning. Fully recyclable, the solvent last for a minimum of 18 months when used with Purasolve filters. This makes Purasolve Parts Cleaner extremely cost effective. Purasolve Brake Cleaner is designed for cleaning brakes and components in a variety of industrial applications. This high tech safety solvent is slow evaporating and lasts 10-20 times longer than conventional brake cleaners.